Emily Hill comes alive with a super-sized craft beer pop-up! 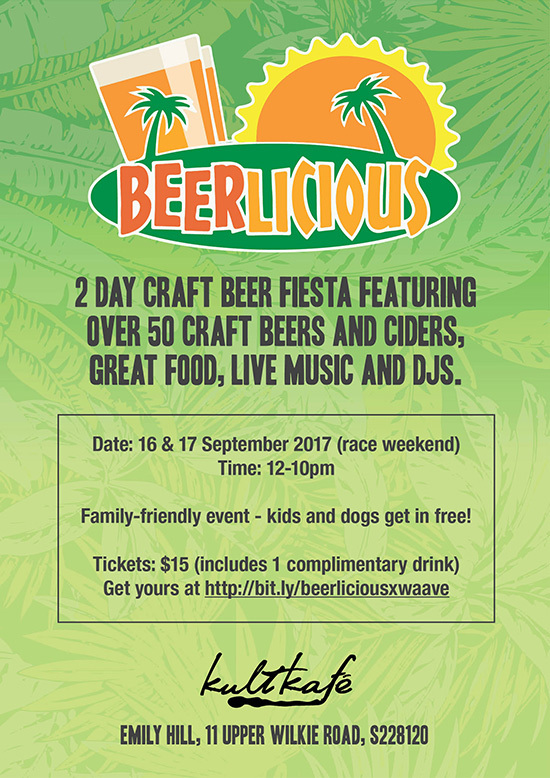 2 Days of great beers from Singapore and around the world, cool tunes and great bites. Bring the family, bring your friends, bring the dog … after all, what fun’s a beer without man’s best friend by your side!